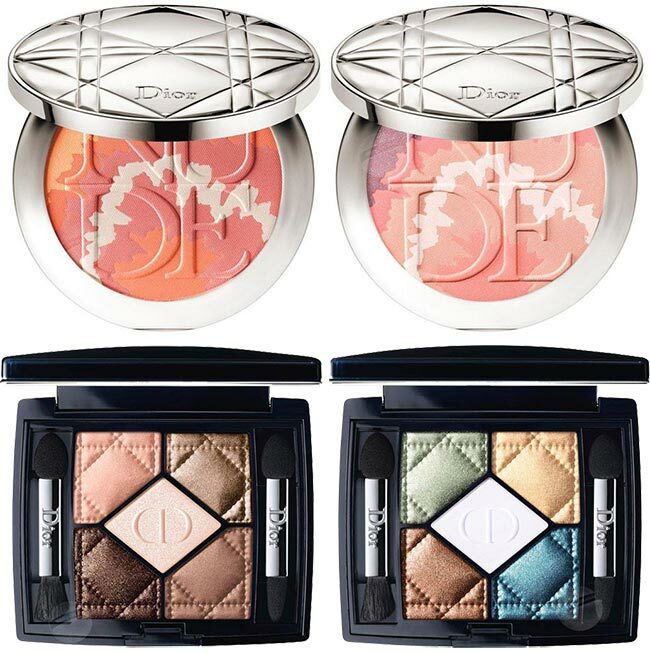 The quilted patterning of the Dior line, along with its logo, grace every inch of the new cosmetics pieces that can be found within the Dior Tie Dye summer 2015 makeup collection. It is without a doubt a gorgeous collection with hues that really bring the sunshine home, bathing the skin in a warm light that is so very much desired after the paling effects the winter months have on our Vitamin D starved bodies. There is no doubt that each individual will find at least one piece that meets her tastes, that is to her liking. The colors vary from jade to a golden brown shade of amber, sandy blues to beige hues. The summer months are not far away, the spring is already in bloom and we are dying to get our toes wet. 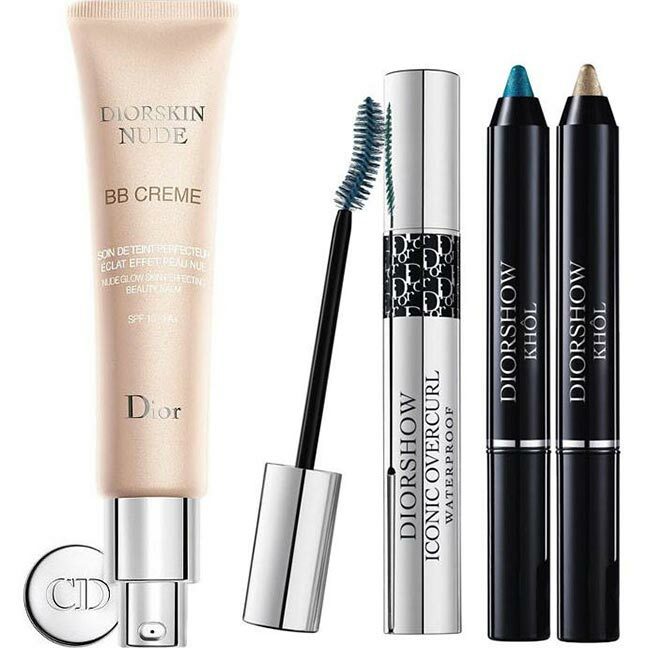 That’s where the Dior collection comes in, with its refreshingly bold products that will do well to line your makeup case soon enough. The sun rises and sets on the tan tie dye pieces that come in gorgeous compacts and offer the perfect hues to really highlight those cheeks while blending in perfectly. Like the blush in compacts before, the eyeshadow palette also comes in two different options, one taking on a more contrasting color theme, while the other centers around beige and brown variations. The kohl around the eyes does not need to be in all black, reminiscent of Egyptian pharaohs. On the contrary, it can look positively amazing in the pearly color that makes the eyes pop and the turquoise that adds an electric edgy character to the women sporting it. Just as the liner kohls need not be in black, mascara can also look quite amazing in different colors itself; this collection brings the zing of the blue to the forefront. This worn with the pearl kohl and the Ambre Nuit eyeshadow should really spice things up nicely, considering the whole of the beachy look. 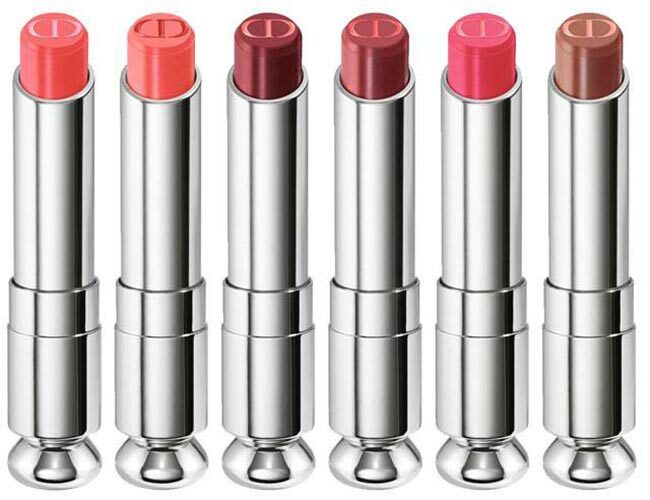 There are 6 gorgeous shades of lipsticks available in this collection, all centered around the berry and pinkish variation hues and offering a rather warm display of the perfect pout during the spring and summer days ahead of us. There is something entirely too compelling about the four hues of the tie dye fluid sticks, looking succulent and perfect for the summer months with the pink tints all around. From the lighter shades of the tropics to the hotter pink option, there is something quite magnetic about these pieces that have us thinking they would look perfect on our own lips. Plus, those tubes they come in are rather lovely themselves and so worth the money you will need to dish out to have the full set. 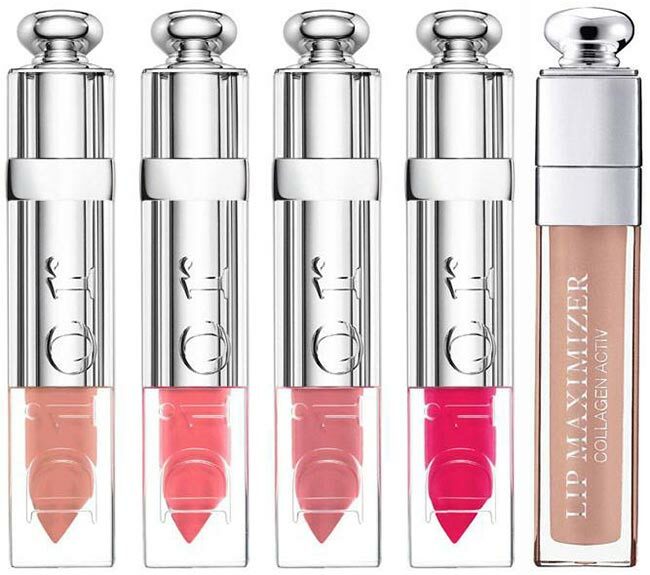 For the ladies out there with the thinner, not so pouty lips, the maximize offered in this collection will certainly come in handy, a prospect we are particularly excited about as it is not a limited edition item on the list. 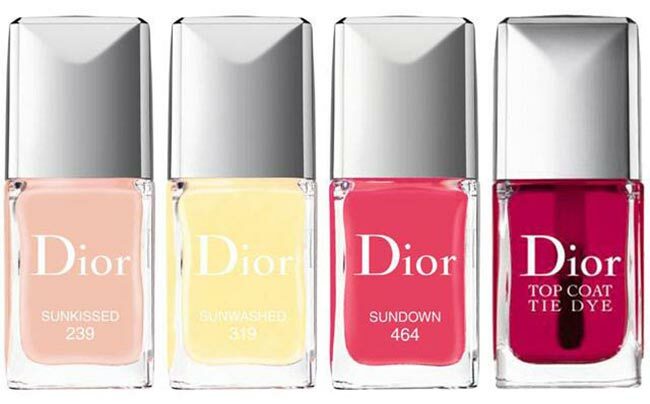 Finally, we look at the nail lacquers that are so entirely summery that we are lost in the pale coloring of the milky yellow and positively entranced by the sun kissed pale pink, reverting to the rosy color of a sunset when deciding to go out to party on the town. Finish it off with the Tie Dye Top Coat and you have strong nails that are as inviting as the sunshine over our heads. 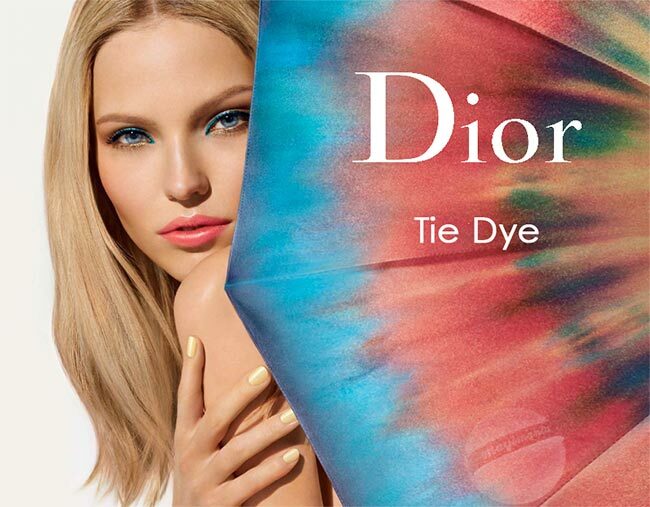 We will be able to find the pieces of the Dior Tie Dye summer 2015 makeup collection, both limited edition and those here to stay for good, available in the US stores of Nordstrom and Macy’s as well as the international Sephora stores sometime in April, while Germany has a set date at April 13, 2015.